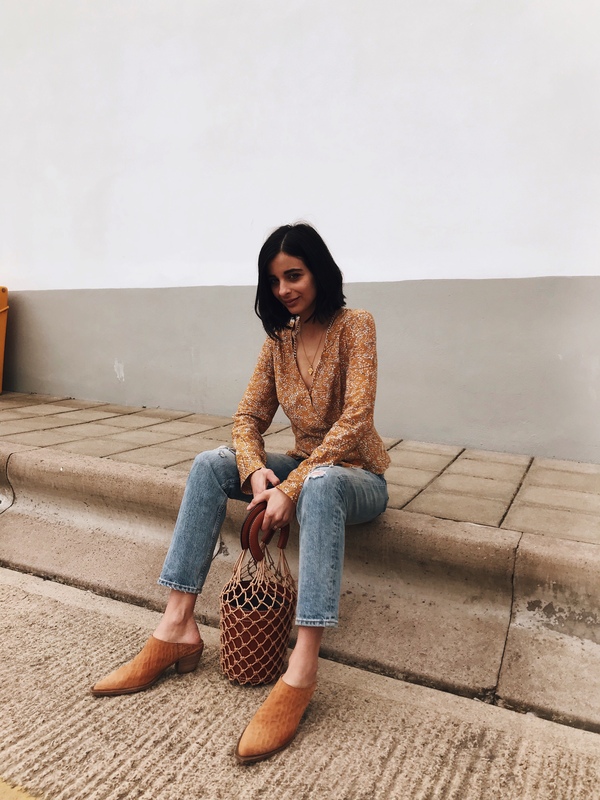 My favourite colour at the moment is the mustard warm yellow tones, like these western Mules (here) from FreePeople which I have become super obsessed with I had to buy the denim canvas pair (here) too from Shopbop. They are the most comfiest pair of shoes I’ve owned, not to mention the perfect mom shoes! 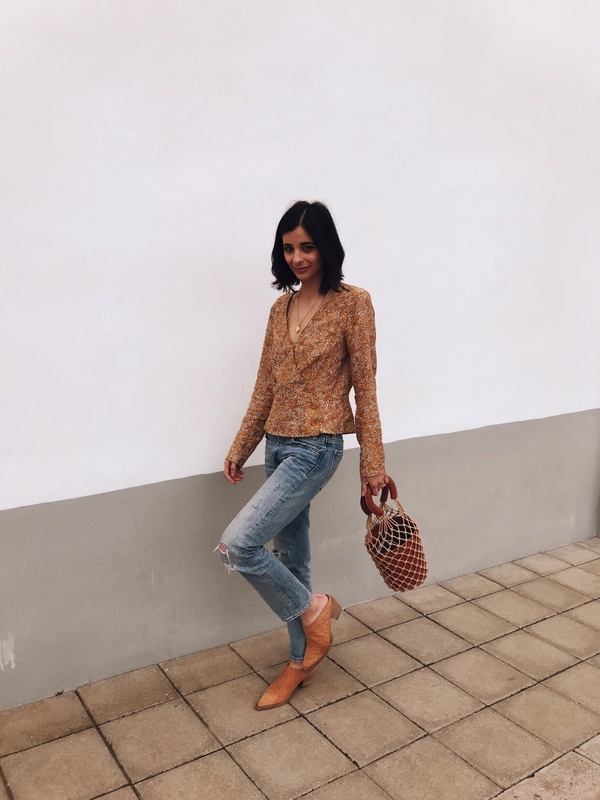 The kind where you can still look chic on the go and take your shoes off nice and easily whilst carrying two babies and a whole load of groceries (yes it can be done!). I love the western vibe these shoes are giving and the embossed print make the shoes look like the vintage kind. 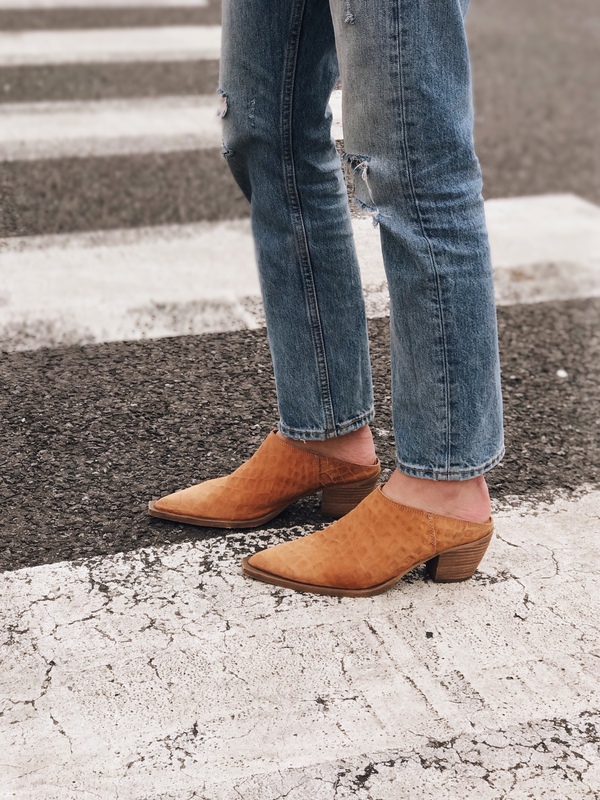 I mentioned here just how much I am obsessed with these cool girl Mules and they are fast becoming my signature shoes. I incorporated this Chloe esque feel top from H&M (here) and you may recall that I have the dress (here and mentioned here) but I love the print so much that I had to pick up this blouse too. 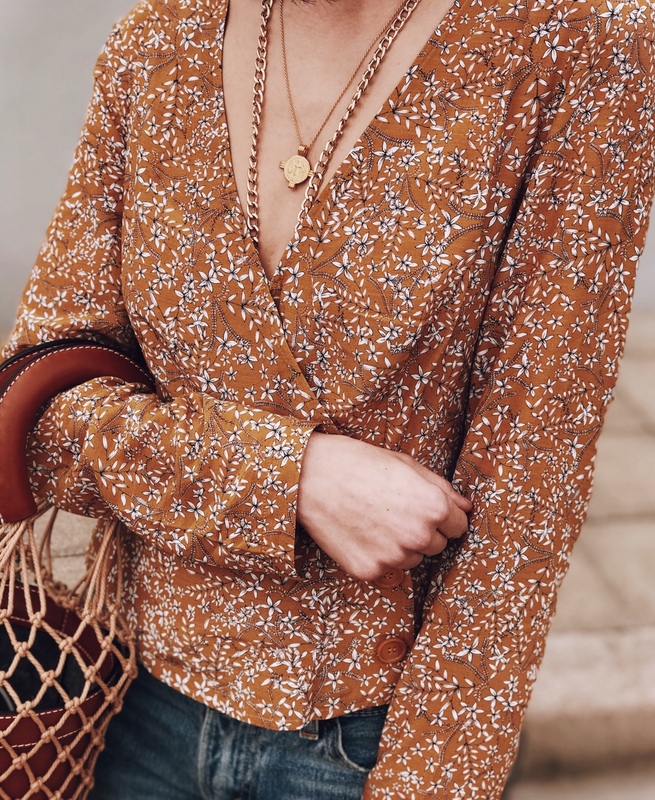 I love incorporating print into my outfits and this super pretty top (here) gives me all the Chloe girl feels as well as the colour which I’m obsessing over! 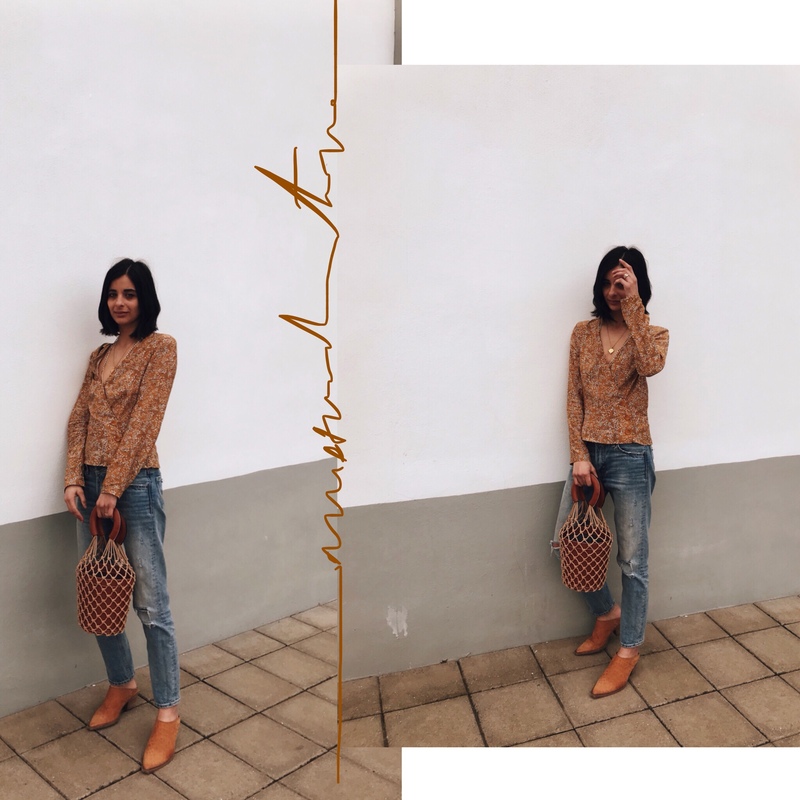 This top is under £15.00 and you can wear it to the office and for a girls casual coffee catch up, like I have here by teaming it with your favourite pair of denim pants (similar here). To add a little glitz to the outfit I wore my Missoma necklace (here) with my nonna’s vintage necklace (which was passed down from her mother!). 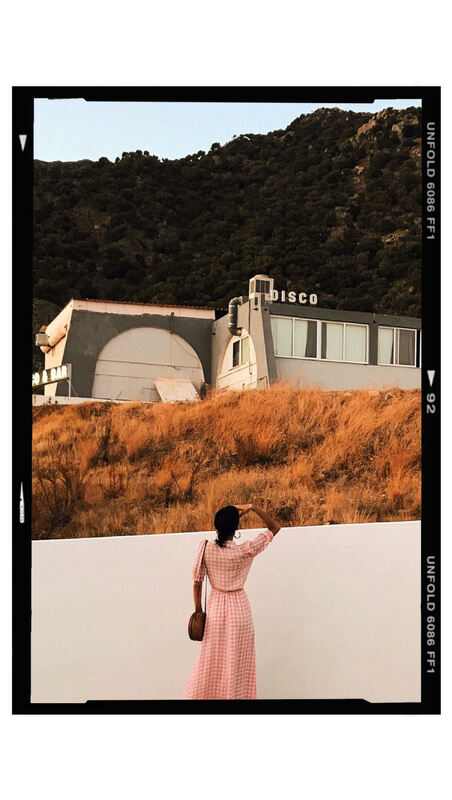 Your photos are so stunning.